Kathy is the Associate Director for University Audit and Interim Chief Financial Officer for the University of Central Florida. In her audit role, she manages advisory services and supervises audits. In her role as Interim Chief Financial Officer, she oversees Finance & Accounting and Debt Management. She has a Master of Science in Psychology and a Bachelor of Arts in Accounting from Florida State University and a Bachelor of Arts in Psychology from UCF. 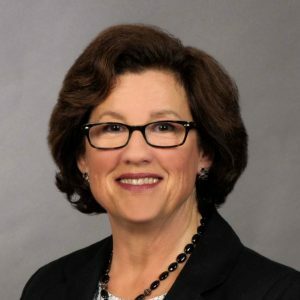 Kathy is a Certified Public Accountant and a Certified Compliance and Ethics Professional and earned a graduate certificate from UCF in Theoretical and Applied Ethics. Kathy joined UCF in 1999.